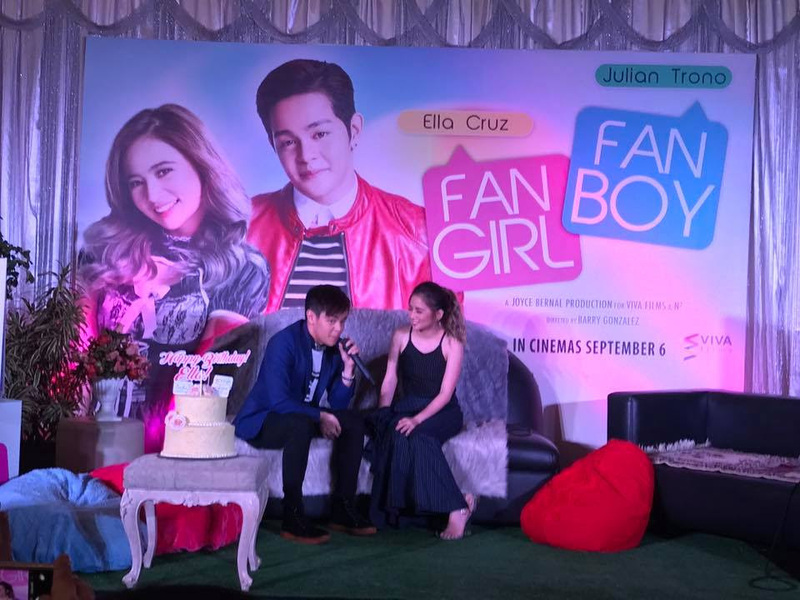 ELLA CRUZ will have a special birthday presentation this year with the forthcoming release of her launching movie with Julian Trono, “Fanboy/ Fangirl”. The movie’s grand presscon at La Reve Events Place even coincided with her 21st birthday last Thursday. She was born on August 17, 1996 in Angat, Bulacan and started acting in 2006 as a child actress in GMA-7’s “Mahika”. She also appeared in “Panday Kids” and “Ilumina”. But her first big break in a title role was with ABS-CBN’s “Aryana”, about a teenage mermaid. 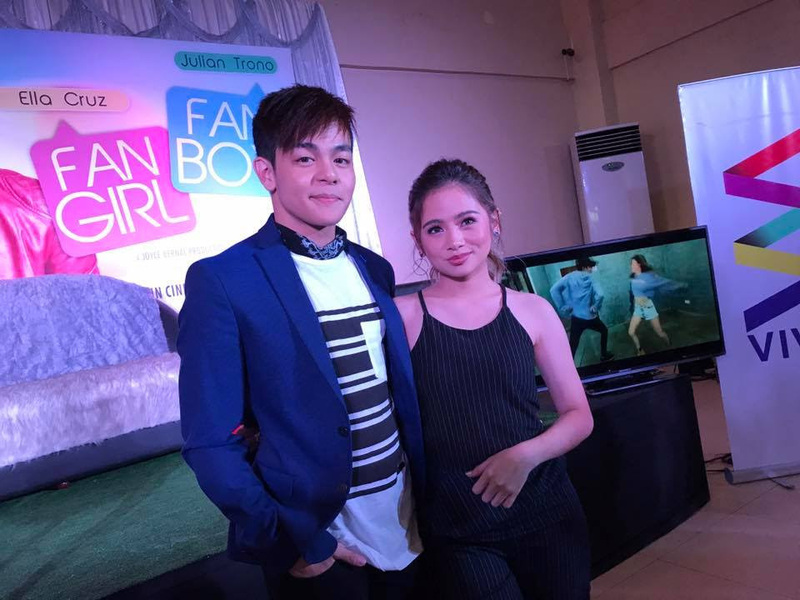 Then she played the role of a teen mom opposite Nash Aguas in “Bagito”. On TV5, she did “ParangNormal Activity” and “Happy Truck Happinas”, then signed up to be a Viva contract artist after she gained fame as a dance artist when she uploaded her dancing to “Twerk It Like Miley” on youtube, which became viral. But writers present at the presscon say their actions speak louder than their words. It’s obvious that there’s something that more than meets the eye in the way they hold hands, touch each other, with Ella’s hand constantly resting on Julian’s thigh. This is not surprising since they’re constantly together shooting the film and doing mall and out-of-town shows to help promote their launching flick. 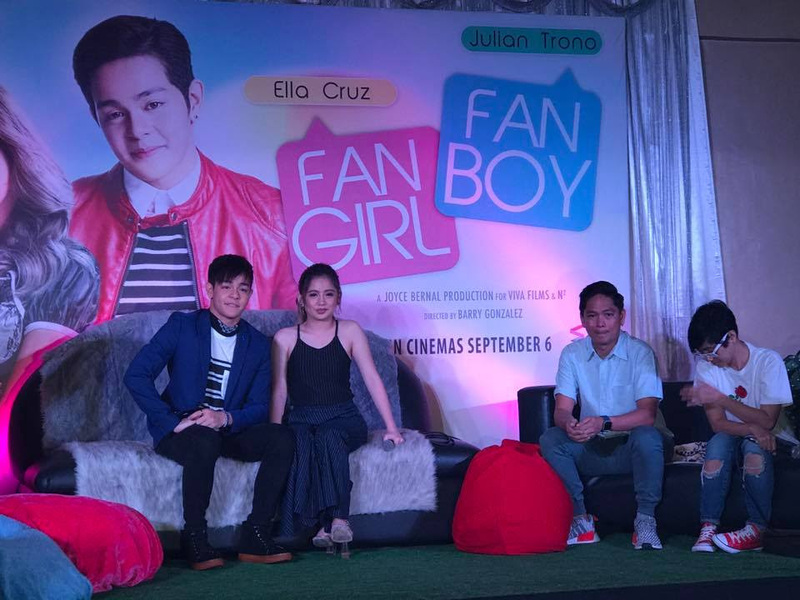 Direk Joyce Bernal reveals that they have a lips-to-lips kissing scene in the movie that became bloody. 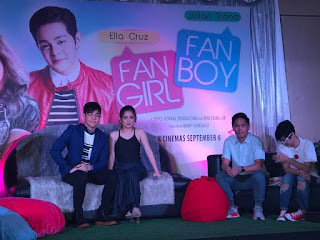 “Naging madugo dahil sa excitement nila, tumama ang labi ni Ella sa ngipin ni Julian kaya nagdugo,” says Direk Joyce. “Na-delay nga yung scene dahil we have to wait for the bleeding to stop muna. Si Ella, dinugo kay Julian."